Although issues of youth culture are frequently cited in classrooms and public forums, most encyclopedias of childhood and youth are devoted to history, human development, and society. A limitation on the reference bookshelf is the restriction of youth to pre-adolescence, although issues of youth continue into young adulthood. This encyclopedia addresses an academic audience of professors and stud… ents in childhood studies, American studies, and culture studies. 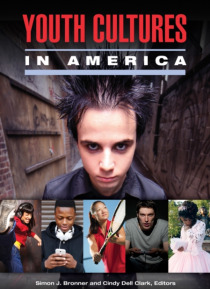 The authors span disciplines of psychology, sociology, anthropology, history, and folklore.The Encyclopedia of Youth Cultures in America addresses a need for historical, social, and cultural information on a wide array of youth groups. Such a reference work serves as a corrective to the narrow public view that young people are part of an amalgamated youth group or occupy malicious gangs and satanic cults. Widespread reports of bullying, school violence, dominance of athletics over academics, and changing demographics in the United States has drawn renewed attention to the changing cultural landscape of youth in and out of school to explain social and psychological problems.